If that second cup of coffee you just had doesn’t keep you awake tonight, here’s something that might. A recent issue of Pediatrics reviewed the effects of caffeine and energy drinks on children, adolescents, and young adults and found several concerning conclusions. Did you know that over 500 new energy drink products were marketed worldwide in the last year? Also, did you know that these products are NOT regulated by the Food and Drug Administration (FDA)? Because of this lack of regulation, there is no maximum dose of caffeine in energy drinks. These products can contain high amounts of caffeine, a nervous system stimulant that is commonly found in your morning coffee, tea, and soft drinks. While caffeinated products may claim to increase exercise endurance and improve mood and memory, they are not without adverse effects, especially at higher doses. increased urination that can lead to dehydration. decreased blood levels of calcium, which is important especially in young children with growing bones. children with heart problems, kidney disease, liver disease, seizures, diabetes, mood and behavior disorders, thyroid disease, and those taking certain medications to be at higher risk for adverse effects from energy drinks. Energy drinks may also contain high amounts of sugar, which may result in weight gain, teeth damage, and can worsen or lead to conditions like diabetes. They also may contain other ingredients, such as taurine, gaurana, L-carnitine, ginseng, and yohimbine which may contribute to adverse effects and/or drug interactions. An important message that should be relayed to young people is that the combination of alcohol with caffeinated beverages is a dangerous mixture. The stimulant effects of caffeine can mask the intoxicating effects of alcohol. Recently, the FDA issued a warning to caffeinated alcoholic beverage manufacturers, stating that these combination products are a “public health concern” and cannot stay on the market in their current formulation. Just how extensive is the problem? A recent survey found that 28% of 12 to 14-year-olds, 31% of 12 to 17-year olds, and 34% of 18 to 24-year-olds admitted to consuming energy drinks regularly. Another survey of 496 college students found that 51% of those surveyed regularly consumed more than one energy drink per month, and the majority of those consume energy drinks several times per week. A desire to increase energy was the most commonly cited reasons for use. Of the respondents, 54% reported mixing energy drinks with alcohol, and 49% drank three or more while partying. So how much caffeine is safe for young people? 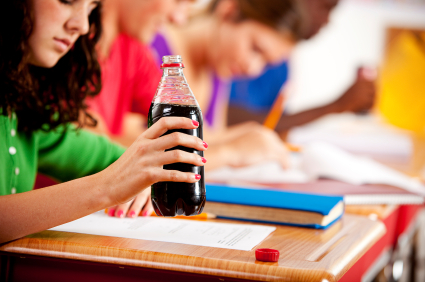 According to the article from Pediatrics, adolescent caffeine consumption should not exceed 100 mg per day. This is approximately the amount in one cup of coffee or three 12 ounce colas. 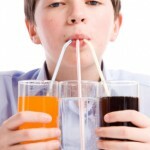 Child caffeine intake should not exceed 1.2 milligrams (mg) per pound of body weight per day. 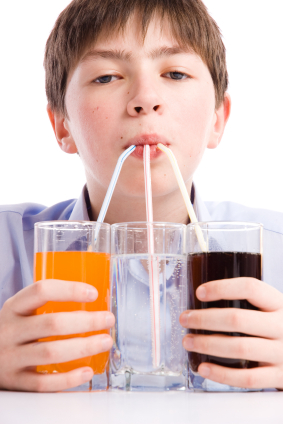 For example, this equates to roughly two 8 ounce servings of cola per day in an average 35 pound child. For more information on caffeine content in various beverages and supplements, please click here. If you have questions concerning the use, misuse or abuse of caffeine, energy drinks, or other stimulants, please contact the Illinois Poison Center at 1-800-222-1222.